Like other animals, tarantulas carry an abundance of intesti­nal worms and other parasites that are part of their normal gut fauna and probably don’t harm them under unstressful conditions. Even captive-bred tarantulas undoubtedly have a good number of parasites that were passed to them by the parent through the egg. We can’t control these pests, so there is no real reason to worry about them. Occasionally you will find small, dark mites (with eight or sometimes six legs and flattened, oval to round bodies) crawl­ing on a tarantula. These usually are mites that simply are car­ried about by the tarantula and share the leftover food near the mouthparts. They are harmless, but many people find them annoying. You can pick them off individually by dipping a blunt toothpick in petroleum jelly and “spearing” each one, but this is hardly efficient. Miticides sold in pet shops may kill tarantulas and shouldn’t be used. More dangerous are tiny translucent mites that live in the substrate and feed on old food and wastes. These are said to attack tarantulas and feed on their body fluids, though I’ve seen little to support this. The best remedy is to completely clean the cage or move the tarantulas to new cages after inspecting the spiders in a bright light (watch the heat from the light, which could cause dehydration) and removing any mites. Phorid flies are tiny humpbacked flies that feed on wastes and can become a nuisance in a spiderling-rearing jar. Their larvae are said to actually feed on tiny tarantulas if all other foods disappear. Keep the cage clean and transfer the spider to a new cage if you see an infestation. These flies are smaller than fruit flies, are usually brown in color, and have a distinctive humped shape when viewed with a magnification lens. 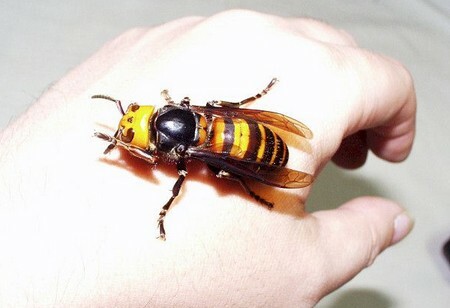 In some books, much is made of tarantula hawks or hunters (actually called pepsids by entomologists and are members of the spider-wasp family, Pompilidae) that attack tarantulas in the wild. A spider-wasp stings a tarantula with a paralyzing toxin and lays an egg on the spider. Then she hauls the tarantula into a shallow hole that she’s dug. The developing larva eats its way through the living tarantula, killing it when the larva leaves to pupate in the ground before turning into the adult wasp. These big (up to 2 inches [5 cm]) smoky-winged iridescent wasps are common in the southwestern areas of theUnited States, but I doubt that they could ever invade your tarantula room. Other insects (especially certain groups of flies) may have larvae that develop within living tarantulas as well. Occasionally, a wild-caught tarantula will harbor a larva of one of these flies, leading to its eventual death. Almost certainly your tarantula room will at some time be invaded by ants, which can find their way into any build­ing. 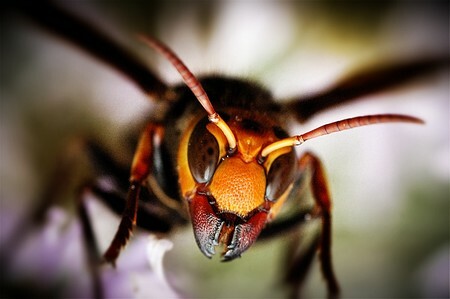 If you get a heavy enough invasion, ants can find and kill any tarantula by biting, stinging, and chewing it to death. Ant baits in enclosed plastic tabs can be scattered around the floor of the room for good control. An even sim­pler method is to put a dish of water under each leg of the table that supports the tarantula cages, if possible; ants won’t be able to move over the water to the leg, as least in most cases. Never use ant sprays or dusts near tarantulas; these will kill most invertebrates. What Is The Ideal Temperature To Keep Tarantulas?